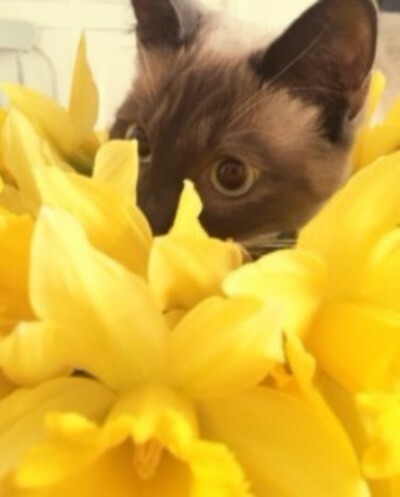 Enter our Easter and Spring Photo competition for a chance to win £30 in Love to shop vouchers and a car seat cover or a Feliway spray for cats! Welcome to our Easter and spring pets photo competition...open to all pets, not just bunnies! No pets eating chocolate please, remember chocolate is toxic to pets! The winner will be the entry receiving the most votes and will be announced on 9th April. This promotion is in no way sponsored, endorsed or administered by, or associated with, Facebook. You are providing your information to Dragon Vets and not to Facebook. The information you provide will only be used for Dragon Vets. Enter your picture into the competition for a chance to win, and vote for your favourite to win. Competition closes on April 9th, the winner will be announced on the 9th April.